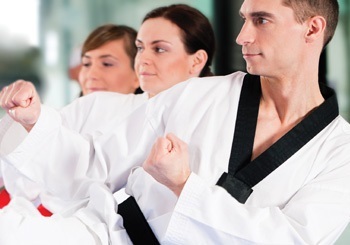 Martial Arts provides the same – or better – health benefits as the gym or any sport. Yes, you will get fit, become flexible, improve body toneand grow strong – but all while learning a multi-disciplined skill designed to bring out your best self. The confidence gained from Martial Arts training extends to your work and social life, because your focus intensifies and your discipline is strengthened. You’ll stick to projects more easily and kick those personal goals sooner. Ultimately, we achieve more when we’re self-assured and diligent. Martial Arts brings discipline to all aspects of life, from general fitness to personal growth. Remember all those failed resolutions to get fit? Studies show that less than one per cent of gym memberships are still in use after the first two months. Why do so many people fail at fitness? The answer’s surprisingly simple: the gym is boring! When you train in Martial Arts at BTC you’ll get the fitness level and muscle tone of a gym membership as well as defined new strength – all while having fun at top-class facilities. We’re really passionate about helping you get fit and it shows – 85% of our members stay with us for at least a year. Train with Queensland’s most experienced martial arts instructors. Most people remember one great teacher, coach or boss who made a difference in their lives. ExpertMartial Arts instructors make an impact on their students. At BTC you’re fortunate to have among your teachers the State President for Taekwondo, Australian Head Instructor for Survival MMA and other high-level trainers with global experience in their professions. Train in fully-matted, air-conditioned rooms. With enough equipment for every participant, every time. Most Martial Arts classes are run out of community halls and other makeshift venues. 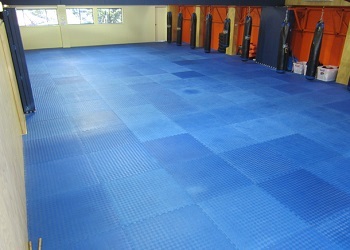 BTC is Queensland’s best equipped specialised Martial Arts school. That means you will train on a custom-built matted surface, not on concrete or hardwood floors. You won’t skip class during the peak of summer or winter because our studios are air-conditioned. Say goodbye to stuffy rooms in 35-degree heat and 95% humidity. We provide 20 hanging bags, 50 kick shields, 100 focus mitts and 100 paddles – not half a dozen old pads shared around a class. At BTC you reach your training and fitness milestones faster because you waste no time waiting to use shared equipment. Your entire session is devoted to training, learning and self-improvement. You’ve got it at BTC. There’s no need to pay for a gym membership elsewhere when you’re a member of BTC. With us, you automatically get both. 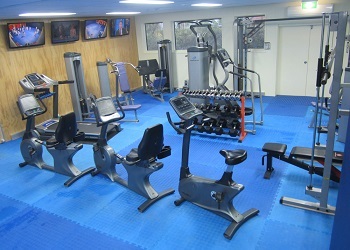 Use our fully equipped gym for aerobics, or use the weights machines or free weights any time.There’s no need to pay a separate membership and no travelling between venues for two different types of training. Free gym use is part of your membership package, no matter which of our martial arts or fitness programs you choose to learn. And you can use the gym any time our doors are open, not just at a time close to your Martial Arts training session. Free gym membership for parents. If your child or children are learning Black Samurai or Little Samurai Taekwondo at BTC, both parents receive free gym membership. Don’t sit around just killing time, take a convenient workout while your kids train OR even at any other time our gym is open – your children’s membership entitles you to this valuable additional benefit, on us. You can even watch them in class on the CCTV monitors in the gym while you work out. Classes to fit your schedule. 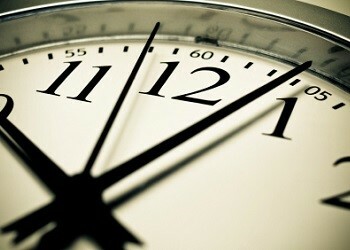 Is your life hectic? Is it hard to fit fitness into your schedule because of shift-work or other commitments? At BTC we appreciate members’ different and sometimes difficult routines. That’s why we offer classes during normal working hours, on weeknights and weekends. 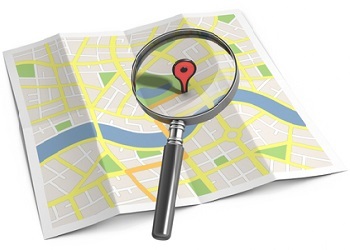 BTC is centrally located and easy to reach, no matter how you travel. Our Bishop Street location is just 5 minutes from the CBD and within 15 minutes from the Western Suburbs and Chermside. And you can’t miss our bright orange building! Value for money? Yes, please! What makes BTC a great club? Flexible class times to fit your busy lives, 7th Dan instructors, custom-built Martial Arts facilities, a free gym for all members to use (even parents) and a social atmosphere. These are some of the many benefits that provide extra value to your BTC membership. Do you think Martial Arts will just be a fun ‘hobby’ for your child? Learning Martial Arts sets up good habits for life. 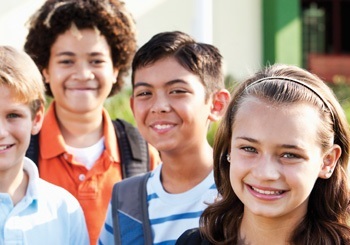 The confidence gained helps kids resist peer pressure, motivates them to put their handup in class more often,and helps them avoid being bullied. The dedicated focus and discipline helps children apply their natural aptitudes in every aspect of their daily life. 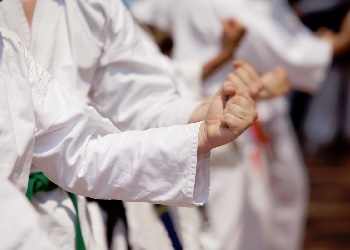 What difference could Martial Arts skills make to your child’s future? At BTC, we believe that life is too short to sit on the sidelines. Email or call us on 3177 4550 to book your FREE introductory lesson today!